It seems like it's going to be a long time until the Swan Boats return. More snow forecast for Tuesday. My husband is flying back to Boston today. He beat the snow last week, but will certainly encounter it today. So tired of winter, but it does make things pretty for a little bit - while it is falling (and if you don't have to be driving in it!). 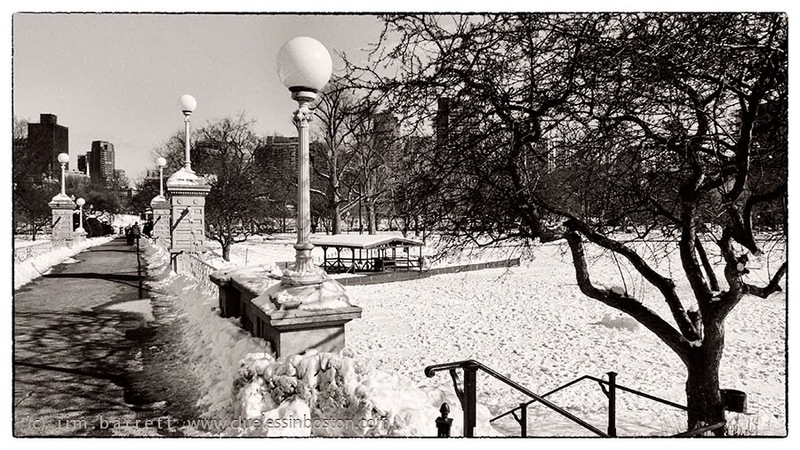 It has been a "monochrome" winter in the Boston area and you have captured it well. It looks terrific in the snow and black-and-white.